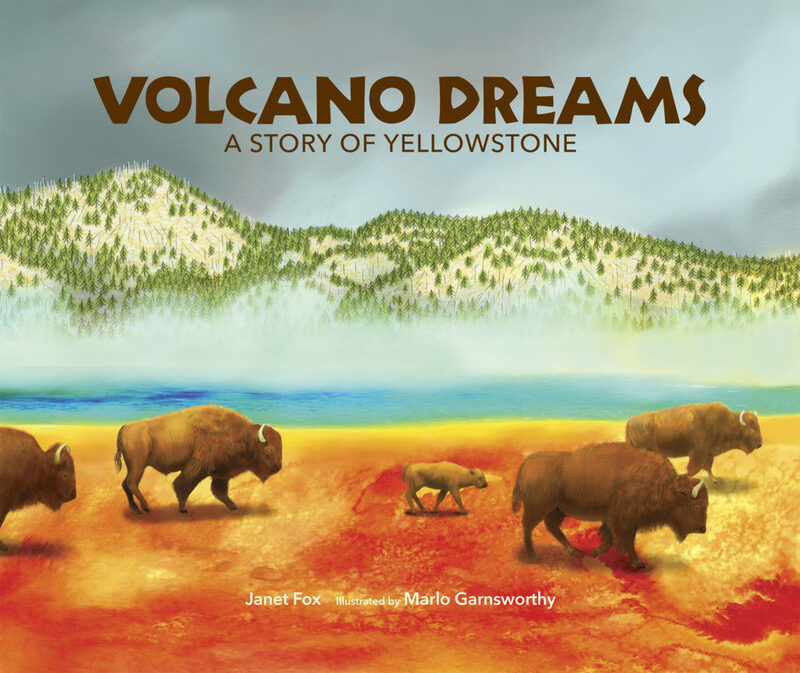 Today we celebrate the release of Volcano Dreams: A Story of Yellowstone, a new picture book written by VCFA Writing for Children and Young Adults alumni Janet Fox (Summer ‘10) and illustrated by Marlo Garnsworthy, available now from Web of Life Children’s Books! Volcano Dreams leads readers on a tour of Yellowstone National Park, from the wolves, elk, bears, and mountain goats that live there today to the supervolcano that exploded thousands of years ago. Welcome, Janet! This is your first published picture book, right? Was there any advice from VCFA that you kept in mind while writing the manuscript? Yes – my PB debut! In fact, credit is due to both Sarah Ellis (my first advisor, who made me write five picture books over my objections) and Julie Larios (with whom I had a picture book review after winning an auction item, and she flagged this picture book as strong). The general advice I remember from both of them is that picture books are all about what you don’t say, and that fewer words are always better. Oh, and of course, the general advice that writing is all about revision – even in something as short as a picture book. This book went through multiple revisions. Are there any interesting facts about Yellowstone that didn’t make it into the book? Great question. In one version of the book, I made a reference to the fact that one day (hopefully way down the road) the volcano will erupt again. That’s a scientific probability. But critique readers suggested that was just a little too scary for young readers. As I’ve learned when speaking with adults about the book and Yellowstone, it seems scary to grownups, too. You’re driving through Yellowstone and you only have time to stop at one of its many landmarks. Which do you choose and why? My son and I used to go to Yellowstone almost every summer for a time. We became what people call “Geyser Gazers,” and like the others, would run around the Upper Geyser Basin (where Old Faithful is located) with walkie-talkies, listening to the announcements of geysers that were about to erupt. My very favorite geyser became Grand Geyser – partly because it is reasonably predictable, and partly because its eruption is so interesting. It’s both large and long, and it’s preceded by indicators. I’d send people there. Of course, the news is now all about Steamboat Geyser in Norris Geyser Basin because it was dormant for many years, and has erupted 18 times since spring. It is also one of the world’s biggest geysers. But it takes a bit of luck to catch the eruption of that one. How many drafts of the manuscript did you go through? What was one of the biggest changes from your initial draft (or idea) to the final book? I think I went through about two dozen revisions, each one getting more “tweaky”. I wanted to create a lyrical style, because it’s my voice, while retaining scientific accuracy. And I think the biggest change is that I pulled out the language about a future eruption. Oh, but I must also give credit to VCFA classmate Anne Bustard, who read a version of this book and brainstormed with me the final title (which I love) and gave me the courage to send it to my agent. What advice would you give to a first-time picture book author? Read a ton of books like the kind you want to write. Understand that even picture books have solid arcs. Fewer words make a better book. You can express complex ideas, but it takes the right mix of language and art. If someone reads Volcano Dreams and wants to know more about Yellowstone (or maybe volcanoes), are there any books you’d recommend? What is your favorite VCFA memory? My favorite memory is of getting to know the people, classmates and advisors. VCFA is intimate and I made lifetime friends while I was there, from all the classes with which I overlapped. We worked hard, and that’s a bonding factor. And yes, we played too. What advice would you give to a prospective VCFA student? Try the things you are afraid to try. I would never have written this picture book (or the others I’m working on) if Sarah hadn’t – gently – forced my hand. So, step outside your comfort zone because VCFA is the place that will give you a soft and smooth landing. Thank you, Janet! 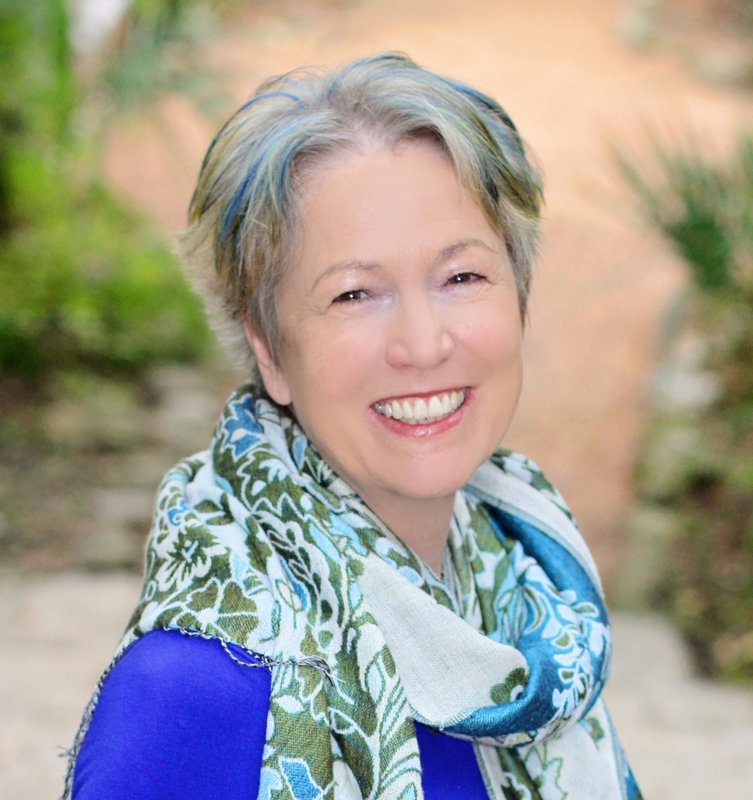 Readers, visit Janet at her website to learn more about Volcano Dreams and Janet’s other books.